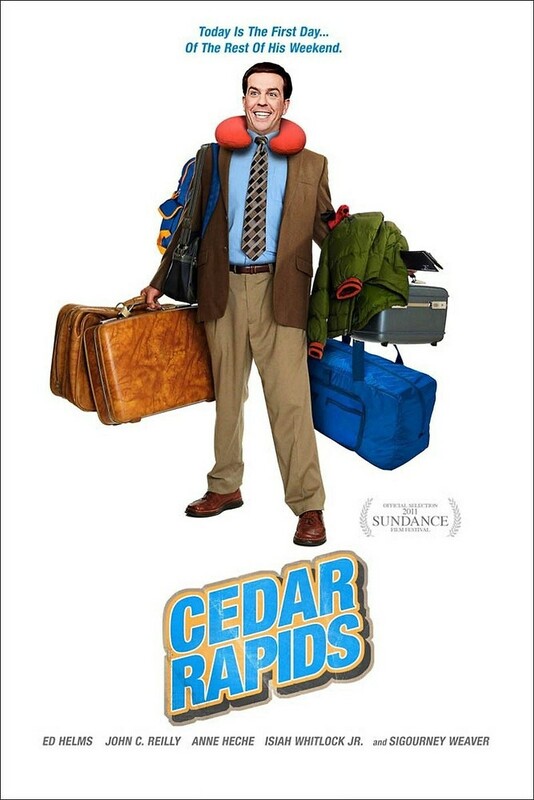 Cedar Rapids DVD and Blu-ray release date was set for June 21, 2011. When insurance agent Tim Lippe heads for the town of Cedar Rapids for an insurance convention, it is the first time he's witnessed a town quite so bustling. Usually he's buried in the small-town charms of Brown Valley, Wisconsin, where he sells insurance and carries on a relationship with Macy Vanderhei, his former 7th grade teacher. At the convention Tim's eyes are opened to the way big-timers play the insurance game. He strikes a romantic relationship with Joan Ostrowski-Fox, an agent from Nebraska, and forges a friendship with Ronald Wilkes and Dean Zeigler, two fellow agents from Wisconsin. When Tim learns the ways of the big city, he's changed forever, using his new connections to leave the small-town life and form a new insurance company with his three new friends.